Been a lovely day today. Picked up some friends and we did a long dog walk, prob about 3.5 miles. Nice bit of exercise. New neighbours are currently building the largest garden climbing frame ever...it looks directly into my living room. Well until my little rescue crab apple tree grows a bit more. Sigh. O for a walled secret garden or a big field just for me. 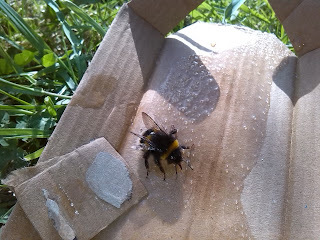 I did some bee first aid today. 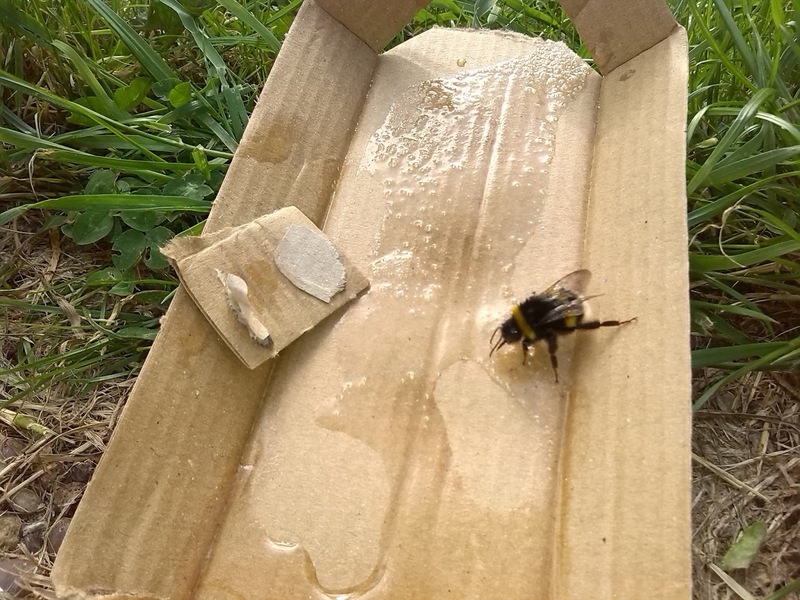 A nice sugary mixture for a grounded bee. Once he/she realised what was going on the little proboscis (is that right?) lapped it up. Then followed a lot of grooming like movements. Which I did video but I thought that might be overkill for you. Fascinating little creature. Little furry bum wiggled while the tiny segmented legs worked away. 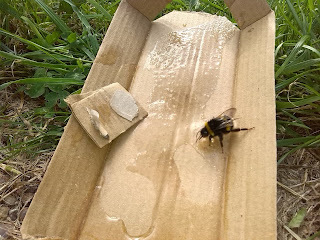 I checked a few minutes ago and there is no sign of my little bee. I am hoping he/she flew away. Apparently they have to wait for their abdomens to reach a certain temp if they have cooled down and then they can fly away. Just wondering if anyone recognises this flower. I think it may be Jasmine. It is the most beautiful smell. When I was being driven around Cairo on a motorbike I was given mini flower garlands to wear with the same fragrance. No idea why...maybe I stunk ha. 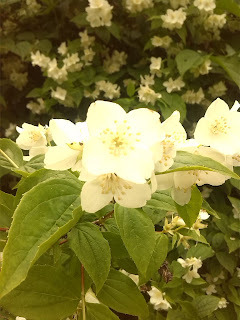 The flower looks like a mock orange. It has the most delightful scent. I love love this flower. Jasmine is gorgeous too.